Source: Received a copy from Netgalley and Scholastic in exchange for an honest review, no compensation. DO NOT READ ANY FURTHER IF YOU HAVE NOT READ BOOK 1! Now that the ley lines around Cabeswater have been woken, nothing for Ronan, Gansey, Blue, and Adam will be the same. Ronan, for one, is falling more and more deeply into his dreams, and his dreams are intruding more and more into waking life. Meanwhile, some very sinister people are looking for some of the same pieces of the Cabeswater puzzle that Gansey is after.. The first book in this series was something I started two different times before I read the whole thing. I just couldn't get into it but once I did, I was not disappointed. 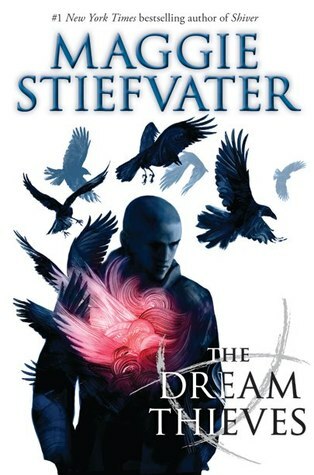 I liked the first book but I LOVED the second one, The Dream Thieves was better in all facets. The characters have greatly evolved and the story has become even more intense. Cabeswater is no longer a dream, it is a reality. There is still that lingering intense feeling that the first book had but there is a lot more to the plot in the second. Multiple things were happening at the same time rather than just the search of Cabeswater and Gansey's impending death. There is a mysterious grey man, lots of "dreaming", and someone develops a new paranormal ability. The book ends in a way that you want the third immediately. The romance is very subtle and that is definitely refreshing. I would recommend this book to those YA paranormal readers looking for something different. The Welsh mythology in this story makes it an entirely unique read. I really enjoyed it. about it! I have them on my to-read list so hopefully soon I'll be able to read all of them by the time this one comes out.